Main Campus, Paldi, Ahmedabad, India 380007. 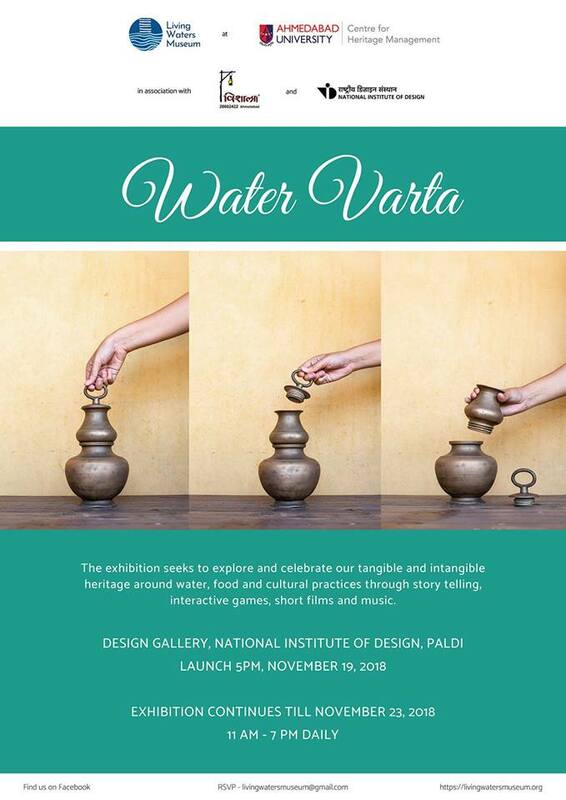 Water Varta is a multimedia exhibition that makes the amazing collection of water-related utensils alive through pictures, stories and water facts as well as an animation video on virtual water and interactive games for young visitors. Old vessels, some dating back to the 12th century, illustrate the gendered role of women in fetching and storing water, while leather and brass water bottles used by men during their travels depict their greater mobility and access to public space. In addition, the exhibition includes a short film produced by Rajoo Barot on Surendra Bhai Patel and his inspiring journey to build Vechaar Utensils Museum.